Pass The Feather is proud of it's extensive feather collection that includes owl, hawk, wild turkey, pheasant, grouse, goose and many more. We work very closely with hunters and wildlife rehabilitation facilities. All our donors feel that it is of great importance to use and respect these birds - they have confidence that Pass The Feather will bring them the honour that they deserve. Our feathers are reserved for only those who understand their importance and choose to connect with them on a spiritual level. In our workshops we create talking feather bundles and personal smudge feathers and explore sharing circle customs, bird medicine and intergenerational trauma. Our workshops are held in safe spaces within public and private school systems, summer camps, workplaces, community groups and on-reserve community spaces and educational facilities. Learn more, click HERE. Our web design and social media workshops are offered to Indigenous artists who want to expand their sales market. If you are an Indigenous artist that would like an on line presence but don't know where to start - this workshop is for you. Bring your laptop and learn how to create your own website with limited to no up front costs. We will help to grow your Facebook presence with tips and tricks for photo posts, getting 'likes' and increasing your audience. Photography assistance is also available for those who would like to create on line albums and better images for Facebook, Etsy, Twitter and other social media use. 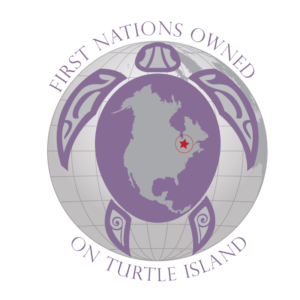 Are you part of a community of FNMI artists that would benefit from having a website, social media assistance and better photographs? Email us! Our specialty is branding. That is, creating new or working with an existing logo and carrying the colour, context and design through all of your graphic, print and web projects. Over 25 years in graphic design - and known for minimalistic, clean and impactful styles. Logos, graphic and page design for any application including printed books, business stationary, promotional products, social media marketing, signage and web sites. Pass The Feather is First Nations owned and operated from the Algonquin | Mississauga territory of eastern Ontario. This is a unique and special business specializing in sacred feathers, amazing graphic design and beautiful websites. PTF owner, Dawn (Mary Francis), is the executive director of the Aboriginal Arts Collective of Canada and owner at Pass The Feather. Dawn has dedicated herself full time to protecting and creating context of endangered Indigenous art forms, the artists and the next generation. To learn more about the owner, click HERE. Sacred Feathers. Bird Medicine. Available Feathers. Birds as our messengers do not part with their feathers unless there is good reason: a lesson to be taught, a message to be shared, a comfort to be given or a reminder that we need to improve upon our behaviour or ethics. To have a feather in your possession requires that you respect it’s significance and you give back in gratitude. Keep a feather safe and clean, do not hide your feather in a closet, box or drawer, don't drop it on the ground. Your gift of a feather demands that you stay connected to it and the natural world – not forgetting that we rely on each other for survival and hold equal responsibility in insuring the health of the land, her water, vegetation and animal life. Read more about birds, feathers and medicines. Contact Pass The Feather now for inquiries, quotes and connection.